In November 1899, the Georgia Women’s Suffrage Association held its first-ever convention in Atlanta. Their, and other groups’, goal: obtain the right to vote. The battle lasted years, supported by hundreds of women marching in parades and rallies and protested by the National Association Opposed to Women’s Suffrage—as well as no shortage of elected male officials. The movement was not without hypocrisy: Though black Georgians were strong supporters of women’s suffrage, some Suffragist leaders like Mary Latimer McLendon and her sister, Rebecca Latimer Felton, bemoaned the fact that “negroes” could vote how tax dollars would be spent but women could not. Victory finally came not in the Gold Dome but at the U.S. Capitol, with the 1919 passage of the 19th amendment, giving women the vote. Only one elected official from Georgia, Senator William J. Harris of Cedartown, voted in favor. The state earned the dubious honor of being the first in the country to reject the amendment, refusing to officially ratify it until 1970. 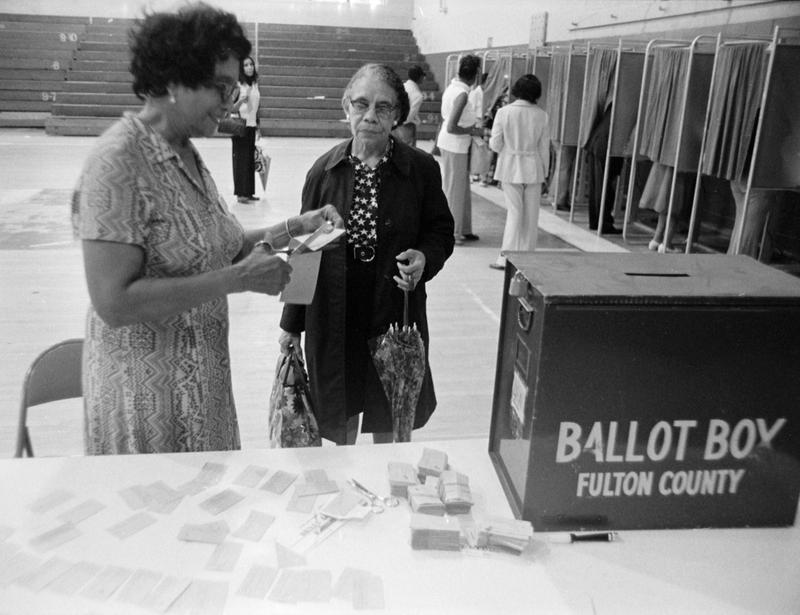 Today, women are the backbone of the Georgia electorate, nearly 3.4 million strong—53.8 percent, to be exact—more than enough to decide the fate of Peach State politics.